NO it isn’t, there are criminal fraudsters, that specialise in mail theft, who will con, deceive and steal from you! Your mail contains valuable information for potential fraudsters. With your name, address and other personal information criminals can pretend to be you and attempt to open bank accounts or get credit cards, loans and mobile phones in your name. 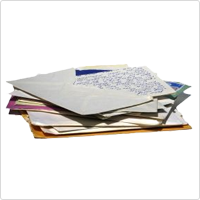 The first you may know about mail theft is when the big bills start rolling in. Important documents like passports and driving licenses can also be forged in your name. Be careful you could be a victim of identity theft or postal theft. Fraudsters may get your personal information by postal theft and stealing your mail. Be especially careful if you have an external mailbox fixed to an outside wall or gate. Be wary also if you share post boxes in a communal area within flats. 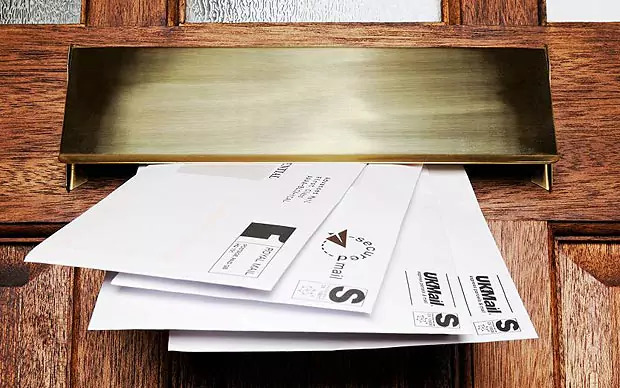 The purchase of lockable, private post-boxes would greatly reduce your risk of identity theft, losing thousands of pounds to these fraudsters. Our security box range has been manufactured to protect you from mail theft and vandalism. Our DAD009 security box model is the UK’s first 'Secured By Design' letterbox and can be surface mounted, recessed or freestanding. Our SECUREBOX model can store a large amount of mail and harbours a unique 3 points locking mechanism. Our FORT KNOX LETTERBOX is exclusively available from us and is mainly used for commercial purposes; similar to our other security box range it includes an anti hooking device, anti theft device and much more. All dimensions and special features can be viewed when an image is selected. Check out our Anti Arson Letterbox range too if you wish to prevent vandalism. So if you're looking for a secure letterbox, our range will accommodate to all your requirements. Do not be a victim of mail theft, find out more about any products in our high security box range and simply contact us today.